At Andrews & Associates Realty our success began with a dream and is built on incredible work ethics, expert local knowledge, and a personal, caring approach. Our success is the result of dedication to helping people in every aspect in a real estate transaction. Our approach to real estate has translated into closings of over 1,200 homes, commercial properties and rental properties over the last 16 years in all areas of Sarasota including: Siesta Key, Palmer Ranch, TPC Prestancia, Country Club of Sarasota, Turtle Rock, Lakewood Ranch, Longboat Key, Downtown Sarasota, South Gate, Gulf Gate, Venice, and surrounding areas. 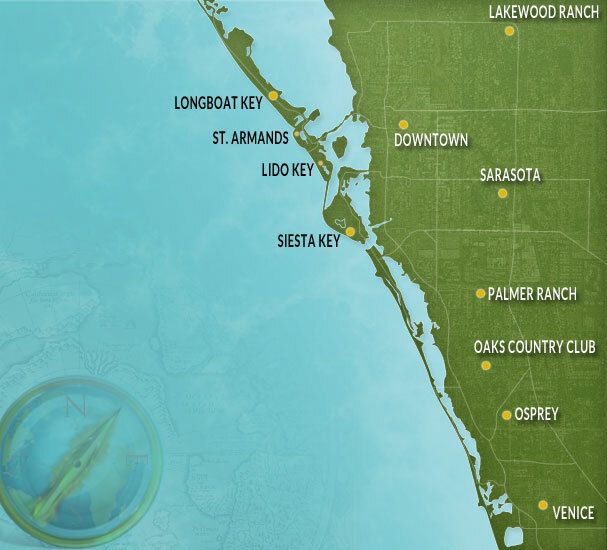 We pride ourselves in having listed or sold a home in almost every neighborhood in Sarasota! Our agents understand that in today's world of real estate, our customers need an advocate who will work tirelessly to earn their trust and their business with each and every home sale. We pride ourselves in professionalism, and we do not think of every opportunity as just one transaction. Our goal is to value each and every one to maintain lifelong, lasting relationships! Sarasota is the jewel of the West Coast of Florida! Sarasota, with warm, tropical breezes, is situated on the azure blue waters of the Gulf of Mexico. This beautiful area was discovered by John Ringling, of the famed Ringling Circus. John Ringling brought cultural influences and visitors from around the world to the city. In doing this, the city was discovered by special people who had strong influences in the Arts, Sports, Entertainment, and Golf- which lead to some of the first Golf Courses in America, the famed Sara Bay Country Club & Bobby Jones Golf Course. Today, Sarasota enjoys the Number One beach, Siesta Key, and championship golf courses such as TPC Prestancia and the fabulous Founders Club. Sarasota's downtown area still provides the historic feel, with Main Street offering world class restaurants, the famed waterfront complex of Marina Jack and fantastic fishing with views to take your breath away! Sarasota is only 60 miles south of Tampa Bay, just a short drive to enjoy our professional sports teams of Tampa Bay Buccaneers football, Tampa Bay Lightning hockey, and the Tampa Bay Rays baseball.